Last June, at age 61, Bourdain took his own life in a hotel room in France. At the time, he was shooting a new segment for his food and travel show, Parts Unknown, with fellow chef Eric Ripert. And while the show's production company, Zero Point Zero, has released a final season of the show airing right now on CNN, the last episode will take place in New York City's Lower East Side. That is to say, the episode he was filming in Alsace, France just prior to his death will not air. 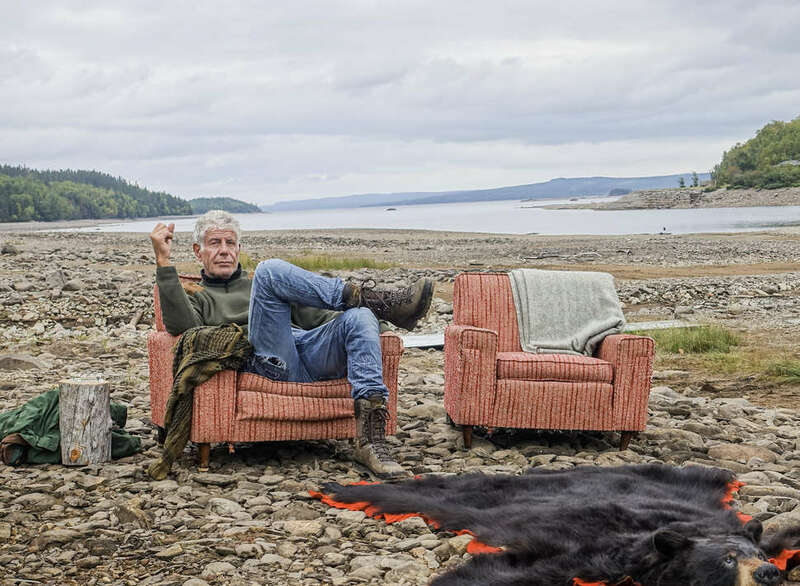 Throughout the course of this season, Bourdain eats, talks, and ingratiates himself with locals in Kenya, Asturias, Indonesia, and Far West Texas before hitting Manhattan. Still, the absence of that one missing piece is felt. In the un-released Alsace segment, Ripert was intended to shepherd Bourdain to vineyards, restaurants, and food markets along the French-German border. They hadn't made it everywhere, but they'd certainly begun. When news broke of Bourdain's death, he and Ripert had just wrapped a scene in which they sat together, over plates of food, across from Chef Jean-Yves Schillinger. Schillinger later told PEOPLE that Bourdain was “just like himself, just like he was on television” that day. Unfortunately, that footage will remain private. We can all listen to Bourdain wax poetic about the salty, the acrid, and the sour one final time on the streets of New York on Sunday, November 11 (9pm ET on CNN). This will be our final tour de force -- our last opportunity to see something new, produced at the hands of Bourdain.